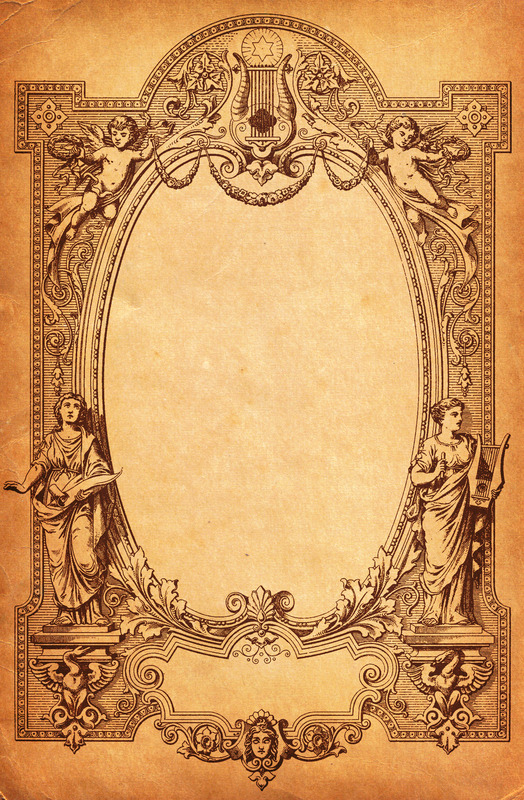 Today’s free vintage image is a gorgeous frame border sourced from an old book cover containing sheet music. You get the border in JPEG and PNG format, as well as a premade texture to use in your DIY and craft projects. As usual, the images are public domain, which allows for commercial use. Love it, love it, love it! Thank you for this image, as well as all the wonderful vintage graphic elements you share with us. Awesome stuff! Awesome Diane! You’re very welcome. whats the original books name? It was in a German song book. I don’t have it readily available. 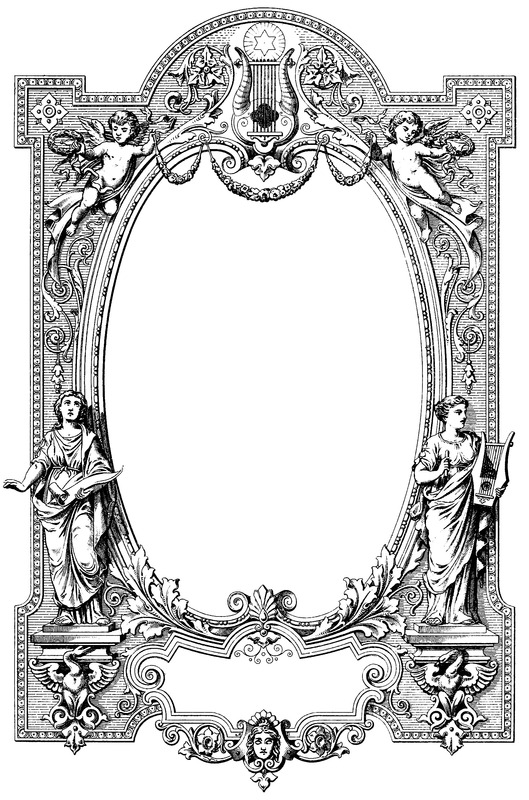 It may have been some sort of ornament that was available for printing, like a frontspiece sort of thing. Could you make only the background available?